Comics Babble with The Comic Bible Magazine: Learn Animation & Film from Bill Plympton online! The first episode here, but the new one is out so log onto Vimeo and Check it out! 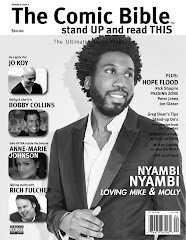 Read Comic Bible Magazine to stay up to date on Plympton and all comedy news.